WASHINGTON — The U.S. Marine Corps is facing the same issue as the rest of the armed forces: figuring out how to fight inside the envelope of Chinese long-range missiles in what is known as the anti-access, area denial environment of the South and East China seas. 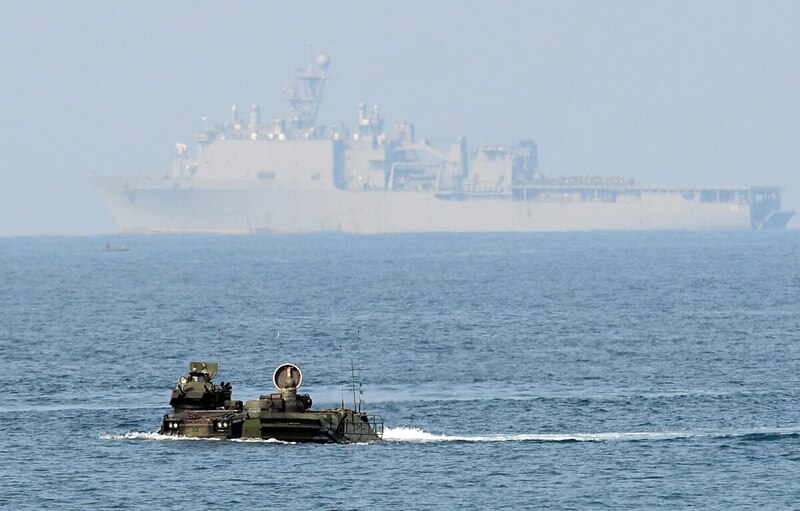 As the Navy and Marine Corps seek to protect sea lanes, allies and U.S. interests, their solution to their shared problem is to spread out, cause chaos and put strain on China’s ability to target U.S. forces and sustain operations on multiple fronts. Defense News caught up with retired Marine Lt. Col. Dakota Wood, now an analyst with The Heritage Foundation, to see how the Corps is tackling the issue. As the Marines confront the challenge of fighting in the Pacific again, what are the top priorities for modernization? There are two parts to that. What are their priorities? Well the amphibious combat vehicle, unmanned capabilities overall and completing fielding of the F-35B. So that’s the easy stuff: air, ground and unmanned. They are pursuing upgrades for infantrymen — rifles, optics and communications — but that is always ongoing. What I think is more interesting is how do those relate to the unfolding vision of what future Marine Corps should be. I don’t think we’ve figured that out yet. Just as in World War II, the Navy and Marine Corps are uniquely set up for operations in the Pacific theater, but you have to get close to fight. What progress are the Marine Corps and Navy making in solving that problem? The chief of naval operations has specifically stated the dependency the Navy has on the Marine Corps to create those opportunities. The question is: How do you disrupt the enemy’s posture, present multiple dilemmas to the enemy? A Marine landing force on an island or feature has to present a problem to the enemy that is credible — anti-ship cruise missiles, short-range air defense, a sensor node contributing to the air or surface picture. It has to be able to thin out the enemy’s fire power, sensor grid and attention span to give the Navy the chance to get inside the envelope, close and have an impact. So how does the Marine Corps get there? It has huge implications for organizational design to get these smaller units where they need to be in a distributed environment. So it’s about connectors and how do you resupply those forces. Unmanned systems? Are amphibious combat vehicles relevant in that environment? It has an impact on ships as well. So far, the Navy has been building big ships. And in this budget environment, will they be able to build enough to support that kind of operation? How do you distribute a force to pose a dilemma for your adversary? There is a gap between current modernization efforts and what needs to be there. To get where you need to be requires extensive experimentation and trying new things. That’s the critical shortfall for the Navy and the Marine Corps.